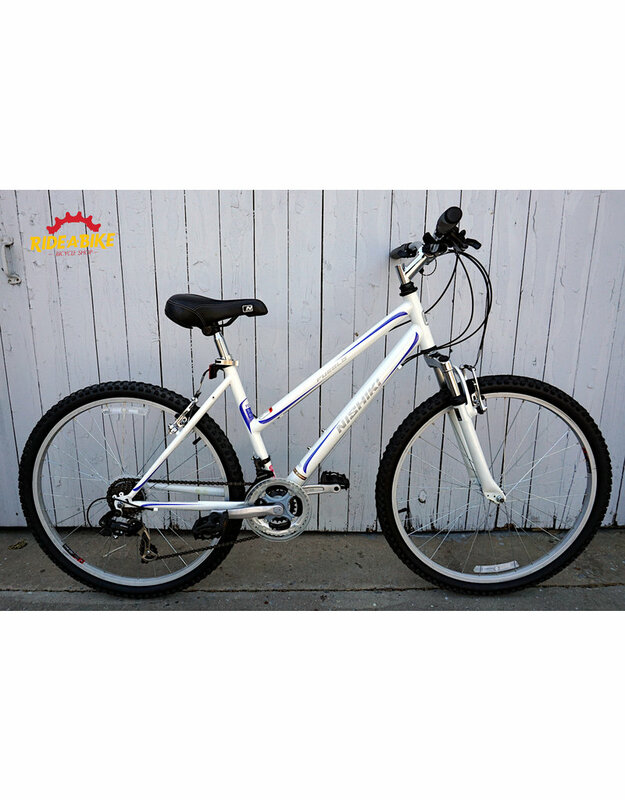 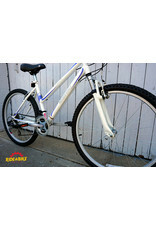 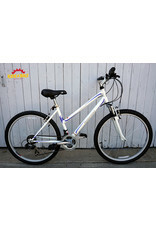 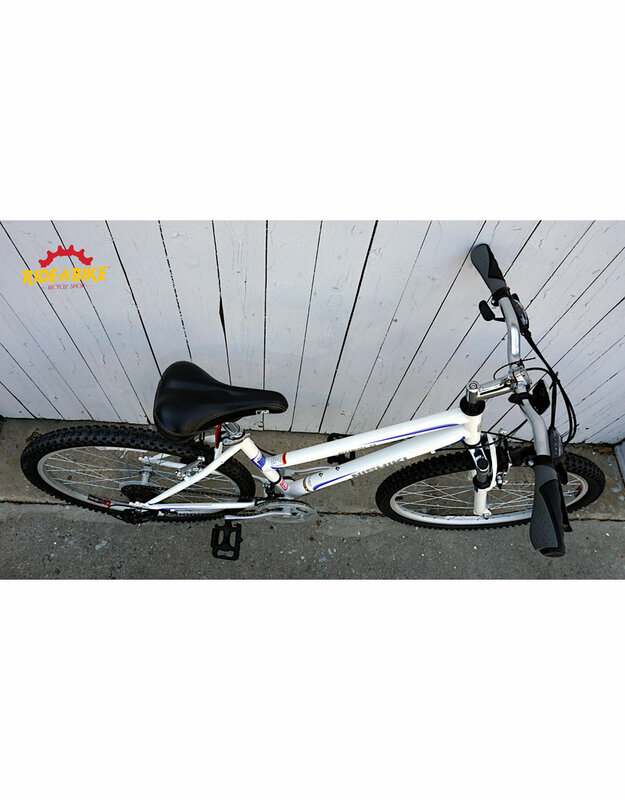 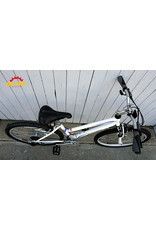 This used Nishiki Pueblo has just been serviced and is in good condition. 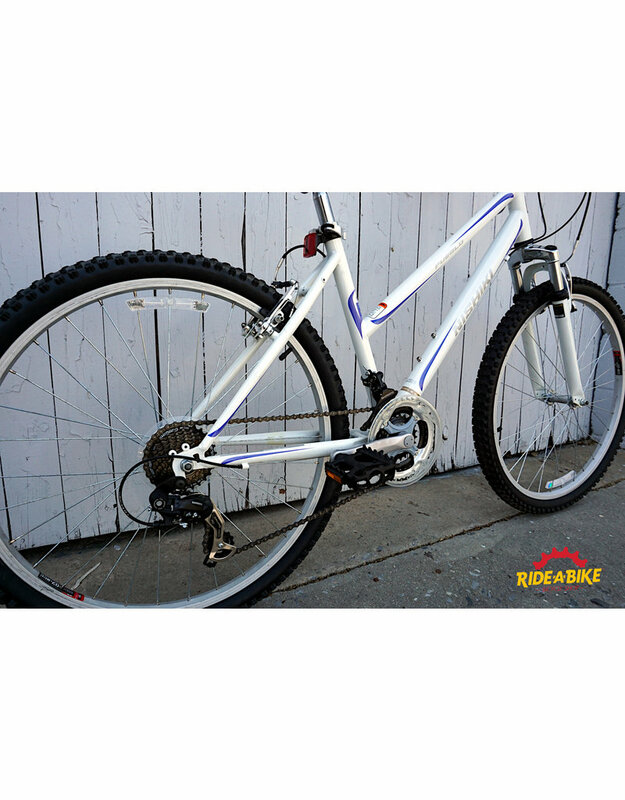 The bike has a steel frame, suspension fork, 3x7 Shimano drivetrain, 26" wheels, and linear pull brakes. 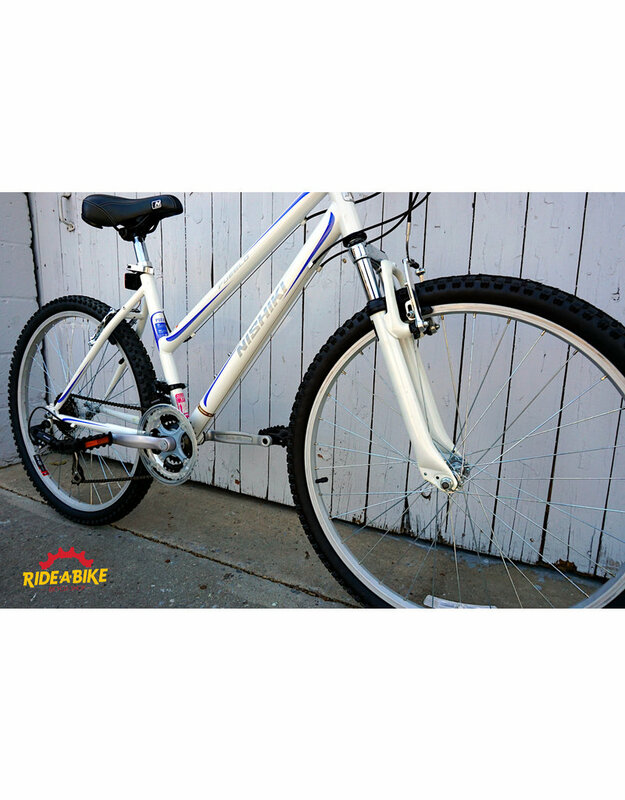 The frame size is women's 17"/medium.